ALICANTE, Spain, November 18, 2015 (PLD Space PR) — The Spanish Company PLD Space, based in Alicante, announces through the information posted on its website, its plans to launch from Spain two brand-new reusable rockets into space, called ARION 1 and ARION 2. PLD Space includes a calendar for these first launches of both vehicles, focusing its initial flight operations with a suborbital launch vehicle to test all major critical technologies that are currently under development. The company is working since 2011 to provide commercial launch services from south Europe, by using the INTA-CEDEA launch site, located at the South West of Spain, near Seville. PLD Space announces this flight schedule after successfully tested in June 2015 the first LOX-Kerosene liquid rocket engine developed in Europe for small launchers in its own test facilities, located at Teruel Airport. PLD Space propulsion department is now under final design of the new version of the Neton 1 engine that will be tested in early 2016. This engine will serve as single first stage engine for ARION 1 and second stage engine for ARION 2 launch vehicles. In parallel, the company is designing a single shaft LOX-kerosene turbopump for the first stage engine ARION 2. ARION 1 is a single stage, reusable and cost effective suborbital launch vehicle, capable of sending up to 100 kg of scientific and technological payloads up to 250 km in a parabolic trajectory. ARION 1 is powered by one Liquid Oxygen (LOX) – kerosene, 30 kN thrust engines. PLD Space’s ARION 1 first suborbital test flight is scheduled for second quarter 2018 and will be the first suborbital flight into Space from South Europe since 1990. There are currently 5 confirmed suborbital missions, that will serve to provide commercial suborbital launch opportunities to worldwide customers, launching into Space from Europe and to test all critical technologies (in particular propulsion, structures and avionics) for orbital missions with ARION 2. 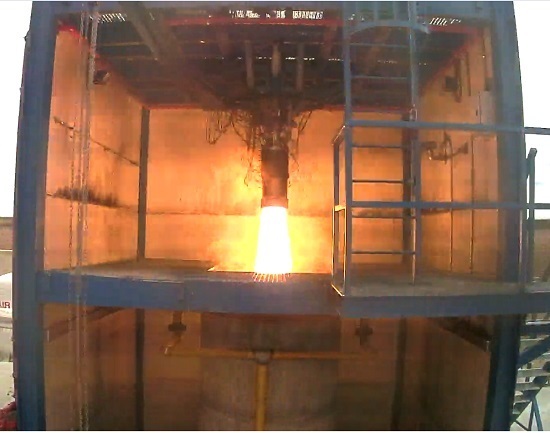 ARION 1 brand-new sounding rocket has been designed from scratch by PLD Space to provide low-G flight opportunities for the suborbital market, with particular emphasis on scientific, education and technology research. ARION 2 is a three stages, partially reusable orbital launch vehicle dedicated for the small satellites market. ARION 2 launch vehicle is capable of launching into orbit up to 150 kg of payload to 400 km Low Earth Orbit (LEO) or 80kg to Sun Synchronous (SSO) in standard mission. This vehicle will be also capable of sending up to 5 kg of payload to moon orbit. PLD Space will offer this small payloads dedicated launch vehicle with two fairing configuration, Classic for standard missions and Enhanced fairing for large volume payloads. PLD Space’s first orbital mission is scheduled for third quarter 2021, trying to put in Low Earth Orbit a 50kg class demonstration satellite and 4 academic cubesats. This first ARION 2 mission will be the first orbital launch from Europe since Orbital Sciences Corporation’s Minisat mission launch onboard Pegasus XL in 1997 from Canary Islands. In addition, the company plans to perform the first moon launch attempt in the second quarter 2023, sending a 5kg class satellite to moon orbit in a scientific mission that will enable space exploration with small payloads. In order to accomplish successfully the first ARION 2‘s orbital missions, PLD Space has based this launch vehicle development program using the same technologies that previously have demonstrated flight reliability onboard ARION 1. 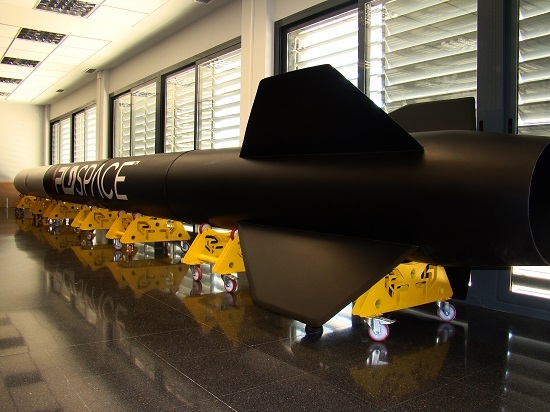 PLD Space was founded in 2011 by two Spanish Aerospace & industrial engineers Raúl Torres and Raúl Verdú, to provide commercial and scientific access to space for small payloads in Europe. 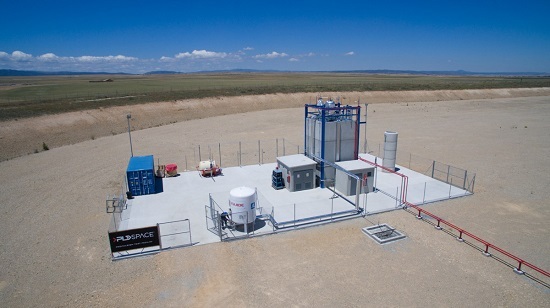 The company focused its activity developing LOX-Kerosene liquid rocket technologies and today has tested several engines in its propulsion test facilities located at Teruel Airport. These propulsion activities began in June 2013 when the company raised its first round of investment of $1.5M. In the last 3 months, the company has performed 20 successful test firings of this 25kN calorimetric engine version. As opposed to powerpoint, like e.g. ARCA space. Sorry. Couldn’t resist mocking them.